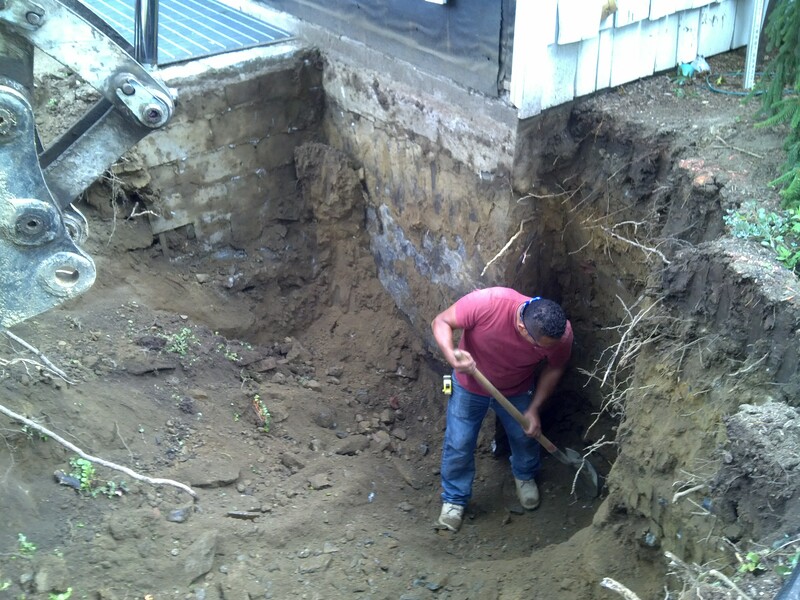 Our GC took this photo which illustrates the correct way to excavate adjacent to existing foundations. We are finding this ridge-top site has solid rock 4′-6′ below ground surface. This entry was posted on August 17, 2012 at 11:26 pm and is filed under Design. You can follow any responses to this entry through the RSS 2.0 feed. You can leave a response, or trackback from your own site.